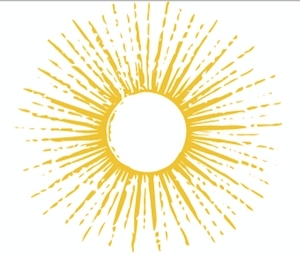 Sign Up for free to save time shopping Siskiyou Sungrown's wholesale products on LeafLink. At Siskiyou Sungrown we cultivate the highest quality cannabis in the most sustainable way: sun grown in native soil according to organic standards. We use only certified organic cane alcohol to extract full spectrum, whole-plant, resinous cannabis oil. Our meticulous process of dehydration, extraction, filtration, distillation, and decarboxylation ensures maximum purity, potency, and bioavailability. Our commitment to producing the purest, most healthy product means we use the whole plant, which allows us to tap into the entire spectrum of therapeutic compounds cannabis offers. The synergy of all of the plant components working together, known as the Entourage Effect, is more powerful than the use of isolated components. We use only USP grade certified organic cane alcohol to extract our potent oil; this process known to be safer than products produced using harsher and more toxic extraction methods. Available in CBD-rich, THC-rich, and 1:1 formulations, delivered as cannabis oil or tincture. We produce tinctures by re-dissolving our decarboxylated oil into certified organic cane alcohol. This CBD-Rich Cannabis Oil is pure, resinous CBD for those seeking all the cannabinoid benefits without the THC effects. Each batch is made from a blend of several of our award-winning high CBD strains chosen to provide the most complex cannabinoid profile for maximum benefit, with a small amount of THC to achieve the entourage effect. Our proprietary methods create the purest full spectrum cannabis oil on the market. Siskiyou Sungrown Cannabis Oil begins with the pure air, water, soil, and sun of the Siskiyou Mountains of Southern Oregon. Our concentrates are crafted from our own sun grown plants, cultivated in native soil, and harvested at the peak of potency. We use the healthiest solvent available to extract cannabis oil: USP grade certified organic cane alcohol. Clinically formulated, laboratory tested, and reliably delivered, each and every time. This CBD-Rich Cannabis Oil (approximately 20:1 CBD to THC) is pure, resinous CBD for those seeking all the cannabinoid benefits without the THC effects. Easy to dose and a pleasure to consume, Siskiyou Sungrown’s line of RSOs set the standard for Oregon oils. Siskiyou Sungrown cannabis oil begins with the pure air, water, soil, and sun of the Siskiyou Mountains of Southern Oregon. Our concentrates are crafted from our own organically raised, sun grown plants which are cultivated in native soil and harvested at the peak of potency. We use the healthiest solvent available to extract cannabis oil: USP grade certified organic cane alcohol. This sets us apart from most RSOs on the market, which are typically extracted using inferior and/or toxic solvents. Whole plant, ethanol extracted cannabis oil is safer and more effective than products produced using other extraction methods. This isn't just RSO. This is Siskiyou Sungrown THC Cannabis Oil. Our oils start with premium Oregon cannabis, organically grown in full sun and native soil. Each batch is made from strains chosen to provide the most complex cannabinoid profile for maximum benefit and to enhance the entourage effect. We use the healthiest solvent available to extract full spectrum cannabis oil: USP grade certified organic cane alcohol, and our proprietary methods create the purest cannabis oil on the market. Clinically formulated, laboratory tested, and reliably delivered, each and every time. 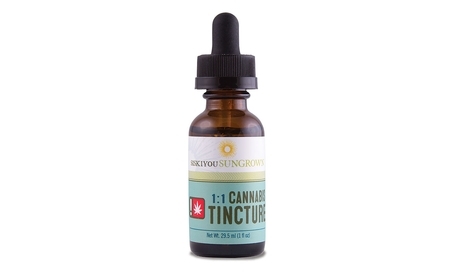 This 1 to 1 Cannabis Tincture is crafted to deliver roughly equal amounts of CBD and THC in perfect balance. Made from our pure, resinous cannabis oil dissolved in organic cane alcohol, each batch begins with our award-winning, organically grown cannabis; premium strains chosen to provide the most complex cannabinoid profile for maximum benefit and to enhance the entourage effect. At Siskiyou Sungrown we consciously cultivate and organically grow some of Oregon’s most compelling cannabis. Our farm to formula model begins in the rich Williams Valley soil with premium select genetics, and our products are clinically formulated, laboratory tested, and reliably delivered, each and every time. 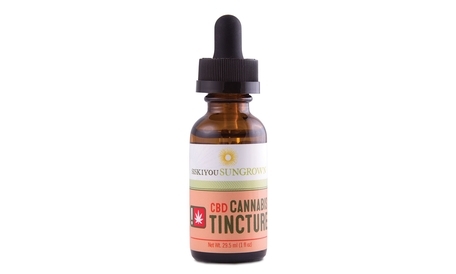 This CBD-Rich Cannabis Tincture is pure, resinous Siskiyou Sungrown CBD Cannabis Oil dissolved in organic cane alcohol. Each batch is made from a blend of several of our award-winning high CBD strains chosen to provide the most complex cannabinoid profile for maximum benefit and to enhance the entourage effect. 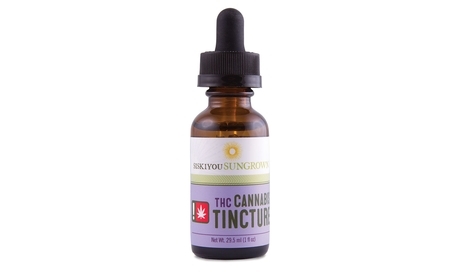 This THC-Rich Cannabis Tincture is pure, resinous Siskiyou Sungrown THC oil dissolved in organic cane alcohol. All the potency and purity of our famous cannabis oil in a traditional tincture. Each batch is made from a blend of several of our high THC strains chosen to provide the most complex cannabinoid profile for maximum benefit. Siskiyou Sungrown CBD Softgels provide a precise, standardized dose of our famous, full-spectrum CBD Oil. They get their start like all of our products do: made from our award-winning, organically grown Oregon cannabis and extracted with organic cane alcohol, our pure and potent oil is blended with organic MCT oil for better absorption and encapsulated in a pharmaceutical grade softgel. Clinically formulated and laboratory tested, each softgel contains 10 mg of CBD. Siskiyou Sungrown THC Softgels are a completely new way to consume our famous, full-spectrum THC Cannabis Oil. Made from our organically grown Oregon cannabis and extracted with organic cane alcohol, our pure and potent oil is blended with organic MCT oil and encapsulated in a pharmaceutical grade softgel.Clinically formulated, laboratory tested, each softgel contains a precise, standardized dose of 5 mg of THC.